Amsterdam, Netherlands - December 15, 2014 - Cisco today announced that ASPIDER, a Mobile Virtual Network Enabler (MVNE) for consumer and M2M mobile services, has selected Cisco® virtualized Packet Core (vPC) to deliver the network elasticity and service agility needed to support the rapid growth and unpredictable demands of today's market. ASPIDER aims to extend mobile services with faster time to market and lower cost of entry to Mobile Network Operator (MNO), Mobile Virtual Network Operator (MVNO) and MVNE customers across the world. ASPIDER customers currently use "configure on-demand" IaaS. Cisco vPC will give ASPIDER even more flexibility and service agility so its customers can implement scalable services in minutes along with redundancy levels that exceed service level requirements. Cisco collaborated with Telindus to implement these solutions for ASPIDER. With more than 70 clients around the world, ASPIDER delivers solutions designed to minimize both investment and time to market—from traditional M2M and MVNO projects, to Over-The-Top (OTT), Internet of Things (IoT) and Original Equipment Manufacturer (OEM) solutions for consumer connectivity. After a period of extensive testing, ASPIDER has selected Cisco UCS C (Rackmount) servers as compute platform for deployment of Cisco's virtualized Packet Core and Gateway GPRS Support Node (GGSN). With this deployment, ASPIDER is enhancing Access Point Name (APN) gateway functions and policy integration to provide customers with more configuration flexibility to support Quality of Service management. This service agility will enable ASPIDER and its customers to expand availability and capture new opportunities worldwide. Cisco vPC is the industry's most complete, fully virtualized evolved packet core that scales up and down to support a full range of mobile networks, including new markets such as M2M, MVNO, and Premium Mobile Broadband Networks. Telindus delivers information, systems integration, and communications technology solutions along with professional and managed services to service providers and public sector and defense organizations encompassing network infrastructure, data center and security. "The Cisco virtualized Packet Core solution gives us the flexibility that we need to turn on new services for our clients who rely on ASPIDER for their branded cloud-based mobile services. Working closely with Telindus to make this happen for us, Cisco's platform gives us the integrated network policy control that we require in order to meet the demanding needs brought on by the Internet of Things and increasingly data-centric mobile services." "Big data, cloud networking and the Internet of Everything have a disruptive impact on business models and network architectures. ASPIDER, a leading mobile services enabler, is one of the first to address these challenges. We are proud that we can assist ASPIDER to achieve these goals with our proven network transformation approach and excellent software-defined networking and network functions virtualization capabilities. 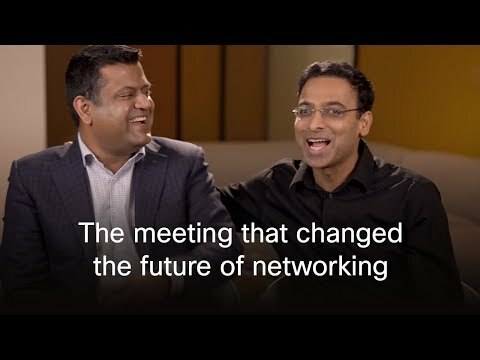 This clearly underlines the new normal of how we drive innovation with Cisco, one of our key partners." "The Cisco virtualized Packet Core solution gives ASPIDER the flexibility they need to deliver the same scalability, flexibility, and integrated network policy control as their Cisco GGSN platform. Cisco virtualized Packet Core supplies ASPIDER with a faster time to market, at lower cost of entry, while providing the same Cisco StarOS software assets necessary to offer their hosted mobile Internet services. We are thrilled about ASPIDER's continued confidence in us and we look forward to further working together to deliver industry-leading services." Read about Cisco Virtualized Packet Core. Read information on Cisco service provider products and technologies. For more information about Cisco's service provider news and activities, visit the Cisco SP360 Blog or contact us on Twitter at @CiscoSPMobility. Visit Cisco Service Provider Mobility Community. Telindus, part of the Belgacom Group, is the independent expert and supplier in the field of access, connectivity and data center solutions in combination with multi-vendor support and managed services. IT demands are becoming more and more extreme and that requires knowledge of the complete IT chain. Because individual components like the datacenter, connectivity and access layer continue to integrate further, these cannot be seen separately anymore. Telindus' knowledge and expertise in the field of end to end infrastructure solutions seamlessly matches this. With these solutions the organization focuses on guaranteeing optimal and safe access to the complete infrastructure and maximum availability: everywhere, from every place.